Braces are about faces, not just about teeth. We believe in looking at the overall face and not just at crooked teeth when deciding on a plan for your orthodontic treatment. There are many options when it comes to straightening teeth. 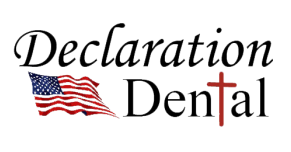 Declaration Dental is a full service dentist office and understands the importance of a long term goal when it comes to your smile. Our goal is to obtain a beautiful, full, and stable smile with healthy TMJ's. "Braces are about faces, not about just teeth." We will also make you aware of how your orthodontic concerns are related to other medical issues, such as difficulties with breathing, headaches, jaw pain, ear aches, and sleeping. Dr. Riese and Dr. Lutz are trained in Functional Orthodontics. To learn more how Declaration Dental can help your family with orthodontic treatment, click this link or on the videos below. Call or request an appointment for a free consultation.